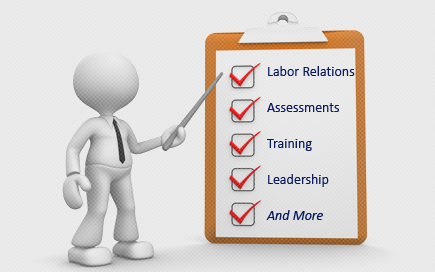 Labor Relations News Update April 21, 2014 | Oliver Bell, Inc. Unions have always had special privileges in America, but ever since 1973, when United States v. Enmons exempted them from compliance with the Hobbs Act, unions have received privileges that no one else could even dream of. U.S. v. Enmons held that violence for the cause of “legitimate” union objectives is not counted as extortion. That is an extraordinary privilege to say the least. Now, the NLRB is handing out another special privilege that unions will abuse by ruling that employers who prohibit “[d]iscourteous or inappropriate attitude or behavior to passengers, other employees, or members of the public…” are violating Section 7 of the National Labor Relations Act. Is this what organized labor has come to? Suing companies so that their members don’t have to be courteous? If that’s the case, we should all be very worried about increased union privileges. Call me crazy, but there seems to be a big difference between the inability or unwillingness to work harmoniously with other employees and the inappropriate and discourteous treatment of members of the public. Employees shall have the right to self-organization, to form, join, or assist labor organizations, to bargain collectively through representatives of their own choosing, and to engage in other concerted activities for the purpose of collective bargaining or other mutual aid or protection, and shall also have the right to refrain from any or all of such activities except to the extent that such right may be affected by an agreement requiring membership in a labor organization as a condition of employment as authorized in section 8(a)(3) [section 158(a)(3) of this title]. Wait a second, where does it mention inappropriate or discourteous behavior? That’s right, sports fans, the NLRB just made a decision based on a rule that doesn’t even exist. In fact, a prohibition against the “inability or unwillingness to work harmoniously with other employees,” is not even remotely addressed in Section 7, and that was the prohibition that the NLRB claimed the courtesy requirement was similar to, thus justifying its blockage. The reasoning behind the NLRB’s ruling to exempt union workers from treating members of the public and fellow employees courteously is terrible. They use precedent set by a court case in which the prohibition in question had little, if any, similarity to a courtesy requirement. Even worse, the court precedent was based off of a nonexistent rule in Section 7 of the NLRA. Basically, the whole foundation for the NLRB’s bizarre ruling is nonexistent. If that doesn’t shake your faith in the idea of disinterested, neutral bureaucracy, I’m not sure what will. American unions have privileges that no one else does, including an exemption from the Hobbs Act that keeps union violence from being charged as extortion, provided that said violence is for “legitimate” union objectives. In order to create a safer workplace and a more fair bargaining process, union power must be checked. If anything, they need to have their privileges scaled back, not increased by the NLRB, which displays such blatant favoritism. DENVER — A century ago this Sunday, 11 children and two women died in a fire that followed a shootout between the Colorado National Guard and striking coal miners at a tent camp in southern Colorado. What became known as the Ludlow Massacre quickly evolved into a national rallying cry for labor unions and eventually helped lead to New Deal labor reforms. But over the years, the tragedy has been largely forgotten, even among many in Colorado. To mark the centennial, a Greek Orthodox Easter service will be held Sunday on the prairie where the women and children died on April 20, 1914. They had hidden in a dugout beneath the tent colony when the fire roared through the camp. The miners came from many countries; mining rules were posted in 27 languages. But most had joined fellow Greek strikers in celebrating Orthodox Easter the day before. The United Mine Workers of America plans a May memorial at the site about three hours south of Denver with descendants of labor activist Mother Jones, who was jailed twice for refusing to stay away from the strike zone. The deaths at Ludlow came during a strike launched in September 1913 by miners whose living conditions were largely controlled by Colorado Fuel & Iron, owned by John D. Rockefeller Jr. They lived in company towns, sometimes surrounded by barbed wire. They had to shop in company stores and be treated by company doctors. They wanted the right to form a union, have 8-hour days and be paid for work to make mines safer and not just for the coal they extracted. Strikers also wanted enforcement of Colorado’s mining laws. Colorado had one of the worst mining death rates in the country but only two mine inspectors. About 3,000 workers were killed between 1880 and 1910 mining the coal that fed railroads and heated people’s homes. In the absence of strong local government, mine owners largely controlled local affairs, said state historian Bill Convery. No one knows who fired the first shot at Ludlow, where eight people— five strikers and one of their sons, a soldier and a bystander — were killed in addition to the 13 who died in the fire. The battle ignited 10 days of fighting in southern Colorado. Miners, including veterans of European wars, killed 30 mine guards, supervisors and strikebreakers. They surrendered after President Woodrow Wilson sent federal troops to the state. Ludlow followed the 1911 Triangle Shirtwaist factory fire in New York City in which 146 people, mostly young female immigrants, died. Together the events galvanized the public’s attention about dangerous working conditions, said Maria E. Montoya, an associate professor of history at New York University. In Colorado, strikers returned to work without achieving their demands. Rockefeller introduced a company union and grievance procedure. Miners only won the right to unionize on their own with the National Labor Relations Act of 1935. A hundred years on, U.S. coal mining is still dangerous work. Twenty-nine miners were killed in the Upper Big Branch mine explosion in West Virginia in 2010. The Mine Safety and Health Administration reported 20 coal mining deaths both in 2013 and in 2012. What was called the “labor question” seemed as intractable then as Middle East conflict today, said Nelson Lichtenstein, a history professor and director of the Center for the Study of Work, Labor and Democracy at the University of California, Santa Barbara. Ludlow’s U.S. legacy has diminished over the years as unions have weakened, Lichtenstein said. Only about a tenth of U.S. workers are now represented by organized labor. Lichtenstein and Convery say they see parallels between southern Colorado’s labor war of a century ago and the plight of people working in garment factories in the developing world today. “We have outsourced our inequity,” Convery said. Fawn-Amber Montoya, an associate professor at Colorado State University-Pueblo who has helped organize the centennial events, said Ludlow still has a lesson to teach about dialogue and how to treat low-wage workers, including immigrants. “We do have these moments where we engage in conflict because there isn’t dialogue going on,” Montoya said.